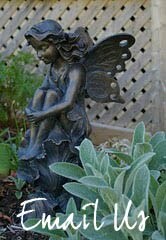 I am pleased to announce that the Dartmouth Garden Club will be hosting its "2nd Annual Gaggle of Gardeners" bus tour on Thursday, July 10th. I will require confirmation of your registration and your payment no later than July 4th. 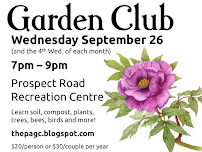 I will open up this invitation to other garden clubs and associations, as well as non-member gardeners. We are renting a 56-seat bus, and I want to ensure that the bus is filled to capacity, if possible. Please encourage your family, friends, neighbours, enemies, and children to join us because it's a fabulous, fun-filled day of shopping and eating! Meet at Mic Mac Mall parking lot. If you are facing Target, look to the LEFT of the front doors and you will see the Markie Bus Tours bus parked there. Bus leaves Dartmouth and drives straight to Hillendale Perennials. Bus arrives at Hillendale Perennials and we shop. Bus leaves Hillendale Perennials and drives to Searle's Landscaping. Bus arrives at Searle's Landscaping and we shop. Bus leaves Searle's Landscaping and drives to Pheasant Gardens Daylilies. Bus arrives at Pheasant Gardens Daylilies and we shop. Bus leaves Pheasant Gardens and drives to Masstown Market. Bus arrives at Masstown Market and we eat and shop AND BUY STRAWBERRIES! Bus leaves Masstown Market and drives to Lowland Gardens. Bus arrives at Lowland Gardens and we shop. Bus leaves Lowlands and drives to Woodlands and Meadows. Bus arrives at Woodlands and Meadows and we shop. Bus leaves Woodlands and Meadows and drives to Dartmouth. Arrive at Mic Mac Mall (please ensure your ride is waiting for you). 1. Markie Bus Tours has been hired to provide our transportation. 2. I have asked for a friendly, patient bus driver who knows his way around Truro and the surrounding areas. I don't need any more ulcers after last year's debacle. 3. I encourage you to take a vacation day and join us. 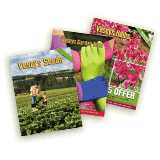 Weekdays at these nurseries is much less chaotic than weekends, and you don't have to wait in long line-ups to pay for your purchases. 4. Cost to register for the bus tour is $30.00 for Dartmouth Garden Club members, $40.00 for all others, and is payable upon registration. 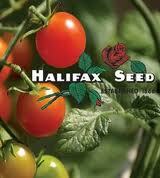 If you are paying by cheque, please make the cheque payable to Dartmouth Horticultural Society. Cash or cheque only. No VISA. You can give your cheque directly to me. Our Club is subsidizing this trip in order that it is affordable to all our members, so please take advantage of this reduced cost (the cost of the bus rental is $1,500.00 plus taxes plus tip). You can either mail your cheque or cash to me at 6 Aberdeen Court, Dartmouth, Nova Scotia, B2X 1K4, or you can slip it in my mailbox (don't step on any cats or plants!). 5. The cost of the tour does not include purchases made at any of the venues nor does it include lunch. 6. Please bring the following items with you (just in case): bottled water (there's a washroom on the bus), bug spray (if it's humid we'll probably encounter mosquitos), suntan lotion, wet wipes, light hooded jacket or hooded sweater (in the event of rain) or clear plastic rain poncho from the Dollar Store. These items can be left on board the bus if you don't need them. 7. We are going to try to stick to the agenda as closely as we can, so please try to be back at the bus at the required departure times. 8. It might be a good idea to have some cash in your wallet. Not all vendors take debit cards. 9. The bus has a storage compartment underneath the body where we can store our plants and vegetables and baked goods and containers and trees and shrubs and mushroom compost boys. They will be safe there. 10. There will be a minimal amount of walking at the nurseries; however, we will be doing a lot of scurrying from place to place, so be sure to wear comfortable, non-skid walking shoes or sandals. 11. Keep in mind that this is a long, busy day, so pace yourself and don't overdo it. I have no intention of giving you mouth-to-mouth resuscitation. 12. Gaggles are fun. Invite someone you normally shop with to join us. 13. Please bring your camera so that you can take lots of photos of our Gaggle having fun. I'll write an accompanying story and we'll put it in the Scotian Gardener, and make all the other clubs jealous! 14. If you could stuff a couple of Sobeys bags in your purse, it would be appreciated. We might need them for plants or pukers. 15. There will be no refunds once you have paid your registration fee, so it might be a good idea to have a friend on standby to join the Gaggle in your place (just in case you get sick the day of the tour). 16. The actual agenda might change slightly by the time we actually leave, depending upon the availability of staff at some of these nurseries in mid-week. 17. Fingers crossed—if you are well-behaved, I might consider planning the next Gaggle trip to the South Shore for next year! If you have questions or concerns, let me know. We have a small group of people interested in helping to shape the program for next year. If you would be willing to share topic ideas, make phone calls or send emails, please email thepagc@gmail.com to join this group. Our plant sale was a huge success on Saturday! Thanks to many very generous plant donations and dedicated volunteer work, we were able to raise nearly 5 times more than our recent perennial orders in under 2 hours! Unbelievable!! John and Donna Silver share their amazing property at 283 Brennan's Road (off Prospect Bay Road) Sunday, June 15 between 12pm and 4pm. 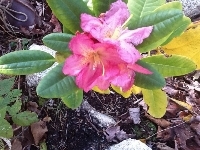 The rhododendrons are coming into their own. Please remember to bring a food donation to support our local food bank. See you Sunday! Each member has an NSAGC bare root hosta waiting for them at Bill Mercier's place at 16 Aaron Avenue, Shad Bay. They need immediate pick up. If you will not be picking one up, please email thepagc@gmail.com so we can rescue it.